Get your FREE magazine now! 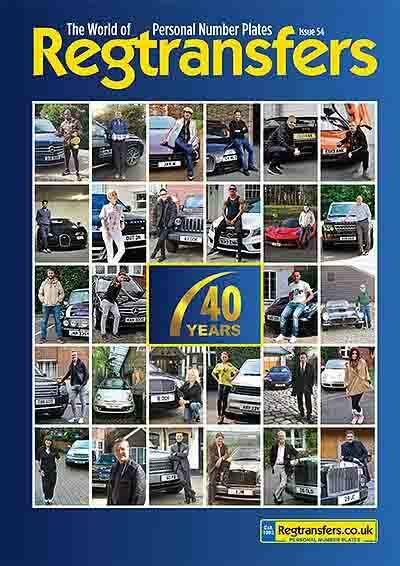 A fantastic magazine stuffed full of number plates information and stories. We also feature articles on number plates as an investment opportunity, and the many ways that businesses are using private vehicle registrations in promotional campaigns and for branding corporate vehicle fleets. You can also find our back issues here. Everyone who requests a copy of our great free mag will also receive a personal list of selected registration numbers. The numbers will be chosen for their relevance to you and, who knows, we may find your perfect personal registration. There is no charge and no obligation. Your personal list is just another great free benefit from Regtransfers.co.uk. It's all part of the service! We want to publish what you want to read. Suggestions for articles are always welcome. We also encourage customers and businesses to tell us about their private registrations. There is always room in our magazine for your interesting number plates stories.